E-Verify is a web-based system that verifies whether job applicants, employees, contractors and vendors are eligible for legal employment in the United States. 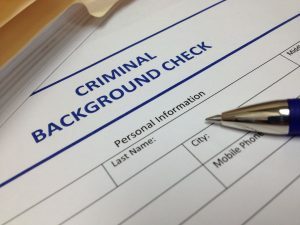 The system compares information from an employee’s Form I-9, Employment Eligibility Verification, to data from U.S. Department of Homeland Security and Social Security Administration. Although it is mandatory that all employers complete the I-9 Form, all the employer has to do is file the I-9 in the employee’s personnel file. The form itself does not verify that an employee can legally work in the United States. The only way to ensure that an employee is authorized to work in the US is to utilize the eVerify System (https://www.uscis.gov/e-verify). eGuarded a third party approved vendor for employers to verify employment authorization. eGuarded can save your company time and money. Ask us how! The following story is just one of many that reinforce the need for employers to take action! According to ICE, worksite immigration busts have increased tenfold over the past five years. Dean Hedges, the owner of Hedges Landscape Specialists, thought a fine was the worst penalty he’d face for hiring illegal immigrants. He never dreamed it would turn him into a convicted felon. The Department of Homeland Security’s Immigration and Customs Enforcement (ICE) division started investigating Hedges after former employees reported that he hired undocumented workers and paid them cash under the table. “Hedges indicated he wasn’t worried and would just pay a fine if ever caught,” one informant told ICE. A week after the raid, Hedges pleaded guilty to criminal charges that he’d knowingly employed illegal aliens, was sentenced to five months probation and forced to forfeit $147,813 seized from his corporate bank accounts. Personally, Hedges penalized $24,000 personally, and the business fined $48,000. The 12 immigrant workers have been deported to Mexico. While Hedges declined to comment, his attorney John Caudill says he suspects the authorities wanted to make an example out of his client, who had no prior violations of any kind. Caudill served in the U.S. Attorney’s Office for 16 years before entering private practice in 2005, and during that time, prosecuted several corporations that employed hundreds of illegal immigrants but never tried a single case against a contractor. According to ICE, worksite immigration busts like the one at Hedges Landscape Specialists have increased tenfold over the past five years. More business owners are facing felonies and deportations have skyrocketed. Find out how a recent redesign to Green Cards is helping to reduce fraud.